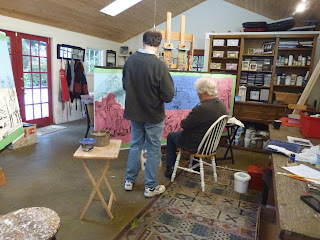 Here's what's going on in my studio right now. Alan and our friend, Mike Svob are painting a mural together on two huge panels. It is to refurbish one they did years ago in Seattle. 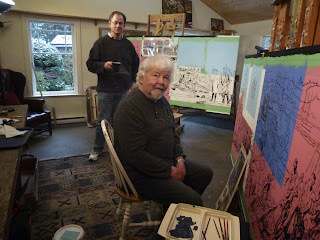 The panels will be made into bigger giclee copies and installed over the old mural. These shots are of the drawing in process. It's fun to watch. 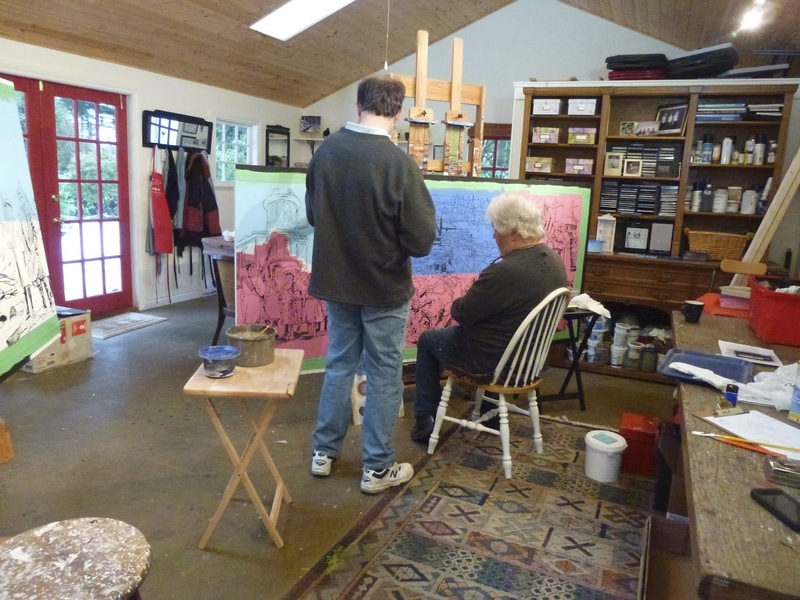 If I want to paint, I'll have to go into Alan's studio for the next week or two. 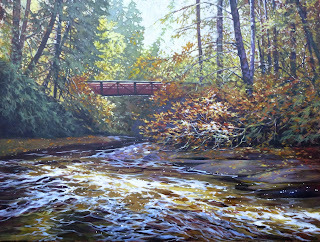 This is # 3 painting from the Kanaka creek photos- "Water under the Bridge" 30 x 40" acrylic. 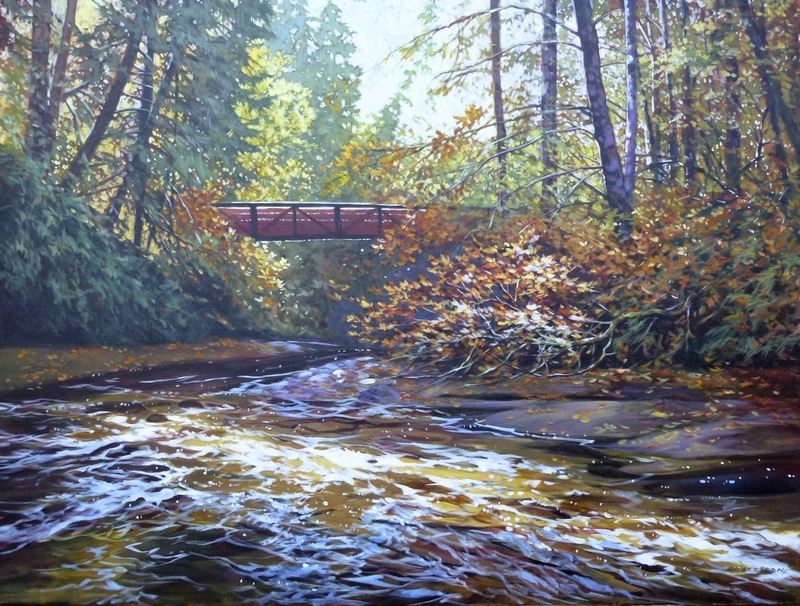 I'm taking to the Federation Gallery for the annual Signature members Spillsbury Medal show.